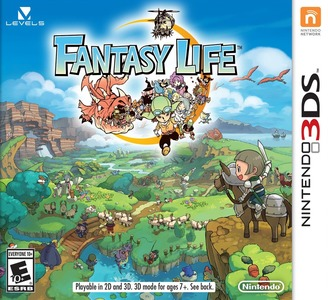 Fantasy Life is a role-playing video game developed by Level-5, with production assistance from Brownie Brown and h.a.n.d. for the Nintendo 3DS. The game was previously being developed for the Nintendo DS. Fantasy Life Link! includes online play with friends, a rise in level cap, additional quests, and the ability to take screenshots, among others. The international version of Fantasy Life included all the additional content of Link!, with the exception of the Origin Island DLC. Fantasy Life has few problems in Citra. Graphically, the game appears to suffer from little to no issues, but requires powerful hardware to obtain near full speed. It suffers from minor audio issues at times, but this does not hinder gameplay in any way. An issue exists where the game crashes at character creation when choosing a job as a female. Playing as a male provides a valid workaround. (This was fixed in canary) Several layers of sprites are not rendered correctly, notably eye colors, however this affects very little about the functionality of gameplay. Both color selection in character creation and eye colors themselves render as black.